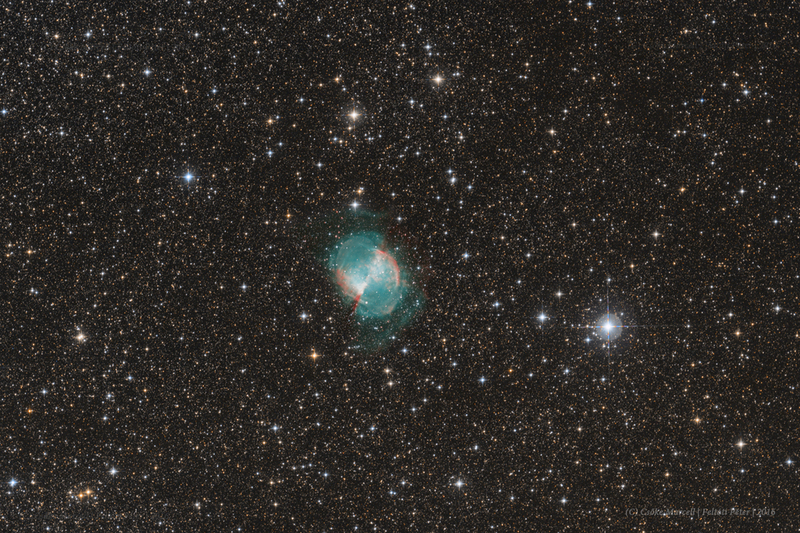 This image was again taken in a cooperation with my friend Marcell Csőke (like the NGC6946-6939 from last summer). Our goal was to capture not jusst the core of the planetary nebula, but the so called butterfly wings. This is usually done by CCD sensors and narrow band filters, but we tried to do that with modified DSLR - CMOS sensors and with a simple UHC filter.